One of the many ways in which you can work from home is by providing coaching services to individuals. The neat thing about the coaching profession is there are a variety of niches you can work in (career, business, writing, money, health, spiritual, life …) as well as a variety of methods for delivery (phone, one-on-one, webinars, teleconferences, written programs, events … ). 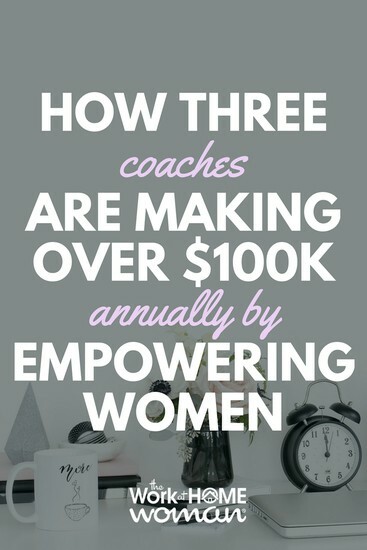 Let me introduce you to our superstar coaches who make their money through empowering women: Traci Bild, founder of Get Your Girl Back, Sarah Dew Finks, founder of the Happy Entrepreneur, and Cynthia Occelli, founder of the Beautiful Life School. Not only are these women sharing their stories of success — but they are dishing the dirt on how they do it. I started my entrepreneurial journey when I was in college. Just 21 years old, I started a cleaning business that morphed into a corporate janitorial service that was massive throughout the state of Florida. After five years of stress, huge learning curves, and the realization that I hated the business, I sold it. My dream was to be a motivational speaker. I fed off of books by Zig Ziglar, Tony Robbins, and Norman Vincent Peale. When I sold my company, I vowed never to do anything again that I didn’t love. I would find a way to make my dream a reality, and I did. It didn’t happen overnight, but it did happen. I started my first training company at the age of 28. I conducted seminars for anyone who would listen, literally. After about a year I started getting paid, and my first full paid engagement was $500. I was in heaven! I was teaching people how to sell, manage their time and empowering them to pursue their dreams. Within a matter of two years, I was traveling the country, speaking up to 10 times per month and generating anywhere between $10K-$50K per event, depending on how many people were in attendance. I loved what I was doing so much I would have done it for free! During this time, 90% of these seminars were for women business owners. I then began to get invited to present at large, national conferences for women run organizations. This was a dream come true. I’ll never forget the first time I spoke in front of 15,000 people. I felt like a rock star! I wrote my first book, 7 Steps to Successful Selling, which was published by Perigee books in 2001. My book sold great in airports, and a national training manager for a healthcare organization picked it up and called me. Within six months of working together, we grew sales by $4M dollars. I was invited to speak at a big industry conference, and the rest is history. I literally was swept up into healthcare, expanded my speaking business into a full-blown consulting firm with training, marketing, and recruiting divisions, a staff of 25, and a place on the Inc. Fastest Growing Companies List in 2013! The one thread that held true throughout everything I did was women. Over 20 years, 95% of the people in my audience were women, and they would share their trials, concerns, stresses, and successes with me. Raised by a single mom, I always had a place in my heart for women. That lead to the birth of what I am doing today, in addition to my consulting firm, Bild & Company. I had started writing a book, ten years ago. Busy with my growing business, I fought and fought the book, but it kept resurfacing – it wanted to be born. Year by year I would write … the book saw rewrites in Paris, Germany, Switzerland, and in airplanes all over the USA! Always a professional, who never shared personal stories about my life, or how I got where I was in business, this book opened up the vault – I shared huge failures, lessons learned, and the raw moments of my life which started to cause anxiety. Having second thoughts about releasing the book, I had a life coach say, “Are you prepared to miss your destiny?” This was a gamechanger and helped me realize that I didn’t have a choice. The book would be finished and brought into the world. I launched the Get Your Girl Back movement in July 2013. I am working with an NYC agent, Linda Konner and the book, Get Your Girl Back will be published in late 2015. Our movement is on fire, and I am doing my life’s work, changing women’s lives. I now understand that my purpose is to help women, who work – to learn to create a strong work-life balance so they can enjoy and savor the fruits of their efforts. After all, what’s it all for if they can’t enjoy it? So goodbye stress, anxiety, and chaos – hello adventure, laughter, and fun – this is what women will discover who get their girl back! In December, I promoted Seth Garber as my CEO for Bild & Company and my time is spent building the movement and giving back to the world the best way I know how – inspiring and changing the lives of women! I was working as a Nurse Practitioner and after my oldest son was born decided that I wanted to stay home with him. Two years later twins arrived, all boys and the reality of going back to work was a bit too much to swallow. I remember doing the math, and with daycare, I would have brought home a total of $500 in profit in a calendar year. And the truth was I didn’t really like my job anyway. 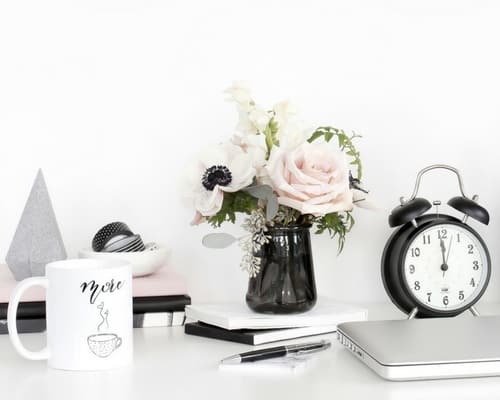 So, I did the stay-at-home mom thing for about three years until I started getting the itch that I needed something for myself, I started blogging and made a little money doing that. About a year later, I jumped in with both feet and started a life coaching business, I had a mentor, and a great community supporting me and ended up bringing in six figures my first year, while the boys were still in preschool. I worked from 9 am- 11:30 am every day while they were in school and an hour or so in the evenings. It has been great, the flexibility is wonderful, the income is great, and I LOVE what I do. Now I help other women who like me, wanted to start a business. It was so meaningful for myself that I am thrilled to show other women the path. At 19, I was a welfare mom living in a garage after dropping out of 9th grade. I made poor decisions as a teen, decisions that reflected my lack of self-worth. I didn’t believe I was worth much at all, but my child was worth the whole world. I didn’t want him to grow up around convicts and gang members, and my greatest fear was that I’d fail, that I’d fallen too far and had too much against me to overcome it all. But I made a decision one that let all of creation know that I was serious. I decided that it didn’t matter how badly I failed or how many doors closed in my face, I was going to have a better life or die trying to. I managed to pull it all together. Against all the odds and to the shock and even dismay of the people around me, I managed to take my 9th-grade education and my LSAT score and convince an accredited law school to grant me probationary admission. At the same time, I started selling and investing in real estate. In the summer of my second year of law school, I married a wonderful man. And in my third year, we started construction on our dream home in Bel Air. I graduated from law school in the top 3% of my class. It was a Cinderella story. Then, my carriage turned into a pumpkin. Two years after I graduated from law school my husband fell. His illness changed everything. In one afternoon, I became a single mom again, but this time with a $1m+ mortgage, multiple businesses, lawsuits, and a shattered heart. It took all I had to live through it and rebuild my life. I learned more in those dark moments and discovered human strengths that I’d never known existed. I also finally understood how people can choose to give up. Gratefully, I didn’t. I took a survival job in real estate and started a consulting practice solving other people’s business problems. I learned that the crux of 99% of business problems rest on people and their beliefs, personalities, fears, and insecurities. Instead of working directly on their businesses, I always ended up coaching leaders through their internal challenges and helping them to realize their dreams. I loved it and what I loved most of all was working with women—specifically women who’d been through something major—a death, a divorce, lost a job, filed bankruptcy, or something else that shook their center. 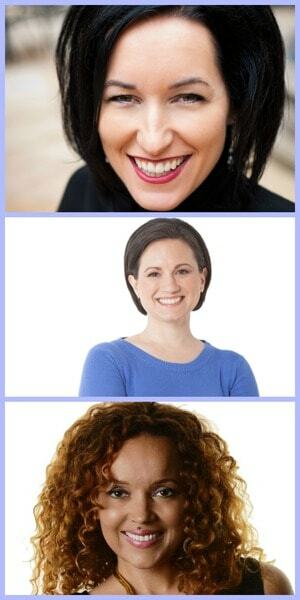 I turned my practice to exclusively coaching women through life’s challenges. It’s my passion, it’s what my whole life has prepared me for and it an everlasting flame burns within me for it. In time, I wanted to take my message out into the world. I wanted women everywhere to know how powerful and capable they are and that they aren’t alone. I’d done that on a one-to-one basis, and now I wanted to empower women everywhere—by the thousands. So, I wrote a memoir. I filled with the details and lessons of my life. It was amazing and powerful—and I couldn’t get an agent to represent it. No one would publish it, because I was an unknown. I didn’t have a platform. No one would pick me, no one would discover me, and so, knowing what I do about life, I discovered myself. I started a blog and a social media platform. With one follower—my mother. I grew it organically. People liked my blog, and eventually, a publisher approached me and asked if I’d write a book. I wrote a women’s empowerment book called Resurrecting Venus. I started coaching groups, teaching teleseminars, appeared on TV, did over 50 radio interviews, and got my own radio show. I then launched the greatest professional love thus far—the Beautiful Life School. How are you making money as a coach? Traci: I make money from my company Bild & Company (selling consulting contracts, marketing and recruiting services, life coaching programs, seminars and more) which also is the parent company of the Get Your Girl Back movement. 95% of all coaching is with women. I also have a number of investments from the stock market and two rental properties. Sarah: I work with clients in three different ways. I have the happy entrepreneur mastermind, the six-month group program, and VIP days. Basically, they are different programs depending on the level of attention and growth you want to see in your business. Cynthia: I run an online school that combines courses, e-books, meditations, and live coaching to teach women how to overcome their fears, embrace their worthiness, and build the confidence to create the lives and businesses they dream about. Traci: More than I ever dreamed possible. Let’s just say it’s over $500K per year (does this suffice)? I keep a lot of money in the bank for my company as well as I never want to limit growth due to lack of funds. I also like to think I get a “Harvard Degree every year.” I spend about $100K per year on personal development. Sarah: I made just over 100k this year and am projected to double that in 2014. Cynthia: The beauty of the work I do is that my income is only limited by how much I’m willing to create. And since I love what I do, I am willing to create A LOT. I earn a very comfortable six-figure living from my online business. I also continue to own and invest in real estate because I believe it’s one of the best ways to build lasting wealth. What types of marketing strategies work best for you? Traci: Speaking at national conferences. I’ve learned that my power comes from the platform. I have a way of connecting with audiences that really moves and empowers people to action. Typically one event leads to many more, and I’m typically invited back to speak over and over due to audience reaction. I also work hard to retain existing clients, so we don’t have to chase so many new ones down. My books and weekly sales memo that I put out weekly are also great for attracting new people to buy. Sarah: So far the most successful have been referral partners, preview calls with lots of affiliates, and straightforward list building and email marketing. Cynthia: Nearly all of the clients and students I have today I’ve met through social media, teleseminars, online events, blogging, or email marketing, and some I met as a result of the Hay House Radio show I had last year. What’s the secret to your coaching success? Traci: The secret to my success for sure is my mindset. It doesn’t matter how hard something is if I’m determined I’m going to make it happen. I truly believe that the real battle begins in the mind. If you believe you can do something, you are 50% of the way there. The remaining 50% is action! I’m also “naïve to failure.” I know it exists and I am not afraid to confront it from time to time. I get that it is part of life’s lesson plan. You have to fail in order to learn and ultimately succeed. Sarah: Prioritize like nobody's business. Get super clear on the income generating activities and do NOTHING ELSE. It’s amazing what can distract us when we work for ourselves. I pretty much didn’t work on anything that didn’t directly result in increasing my bottom line. If it had to be done, I outsourced it. And don’t stop even when it feels like it will never work, don’t stop. My work is perfectly aligned with my truth, passion, and purpose. I genuinely care about my clients and want to see them succeed. I get up one more time than I fall. What advice would you give to an aspiring coach? Traci: Make sure that what you are doing leverages your natural talents and abilities- don’t do something just because it can make you money. When you do what is easy for you or that leverages your talent, you will be more successful than you ever imagined and money will flow more naturally to you. When I was in grade school, every report card had the remarks, “Traci talks too much!” Little do they know that I now get paid $9K a day to talk and have seen the world as a result! Nurture your gifts and talents and look for them in your children early so you can help direct their path the right way! Sarah: First of all, WELCOME to the club, it’s such an amazing group of women. Find your community and keep talking to them. Find a great mentor, so you don’t have to figure it all out on your own, it takes way to much time, and those mistakes can get expensive. And don’t worry, the first year is seriously the hardest. You are learning so much it get’s easier as you have been in business for a while. Get super clear on what your priorities are and turn off the computer at the end of the day. Even if the work isn’t done. Cynthia: Let every action you take be directly related to selling and/or serving. If what you’re doing fails to advance one of these outcomes, find someone else to do it, or let it go. Get the help of someone who believes in you and has some distance from your situation to mentor you. It can be hard to see the big picture when you’re inside the frame. Commit to being an eager and avid learner about your business and study your ideal client until you can think their thoughts. Strive for excellence, not perfectionism and take inspired and intelligent action every single day. Finally, most importantly, believe in yourself. You’re already good enough to succeed. Wow, thanks ladies for sharing your stories with us, and congratulations on all of your success! Do you want to learn more about the coaching field? This page may include affiliate links. Please be aware that we only promote advertising from companies that we feel we can legitimately recommend to our readers. Please see our disclosure policy for further information.